FROOME AT GIRO? At least 2.000.000 of good reasons. You are here: Home » FROOME AT GIRO? At least 2.000.000 of good reasons. After the Vuelta-Tour double Chriss Froome is dreaming for a new and almost impossible exploit: the Giro-Tour double. The last athlete to reach this goal, in 1998, was Marco Pantani, a legend for this sport. Rumors from overseas are every day louder, he should be at the next Giro, from 4th to 27th of May, as the Dutch newspaper De Telegraaf wrote. RCS Sport already denied to be the source behind this news. A thing is sure, the 32 years old British athlete seems very fascinated by this idea also because in 2018 there will be 4 weeks between Giro and Tour, enough for completing a full physical recovery. We will see if the white Kenyan won’t have a physical drop, as the one shown by Nairo Quintana during this season and probably due to the many races he did in a few weeks. Some sources are indicating as an additional motivation a record salary offered by the organizers. In fact the operation “Big start from Israel” accounts for 12 millions of euro and 2 of these are for Froome while the same amount should be spent on logistics. A rumor confirmed by Cycling Weekly. It is hard, even for a champion like him, to ignore such an amount of money. Behind all this operation there could be the millionaire Silvan Adams, head of the Organization Committee for the three Israeli stages in Jerusalem, Tel Aviv and Negev. We will discover more information tomorrow during the Giro d’Italia presentation in Milan, at 17:00 local time. The organizers made everything possible to meet the expectations of the Team Sky’s athlete, with two time attacks designed for him. 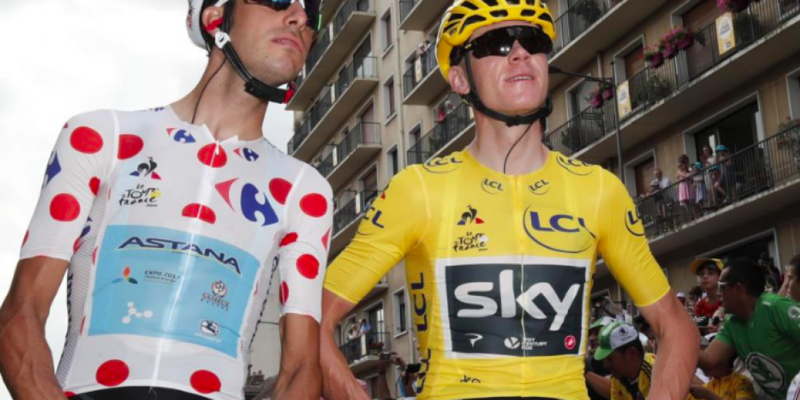 Who will challenge Froome? Surely Fabio Aru and Mikel Landa. Instead Nibali and Dumoulin will just take part to the Tour. And what about the invited teams? These will be announced later, but the three already sure are Androni Giocattoli, Wilier and Israel Cycling Academy. There are other four vacant positions but Italian teams are not that confident about reaching them. HOLIDAYS ARE GONE. HOW LONG TO BE BACK IN SHAPE?